Microsoft may bring SwiftKey's keyboard to its Windows platforms too. Microsoft is buying SwiftKey, the developer of a popular software keyboard for Android and iOS phones—even though it already has its own software keyboard, Word Flow. Software keyboards such as SwiftKey and Word Flow are used to speed up input: Rather than pecking at individual letters, users slide their finger from one letter to another, drawing a shape on the touchscreen. The software analyses the pattern to identify which word they are trying to type. Microsoft’s executive vice president for technology and research, Harry Shum, confirmed the deal in a blog post Wednesday morning, after rumors began circulating Tuesday. One of the attractions of SwiftKey is that it uses artificial intelligence techniques to speed users’ typing. 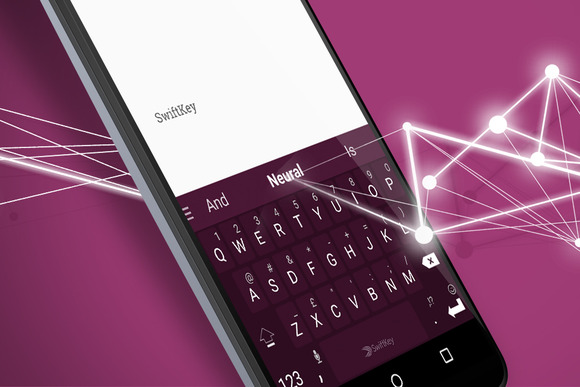 Last October SwiftKey announced an alpha version of a new neural-network-based SwiftKey keyboard that does a better job of predicting which word the user will type next. Most such systems perform the hard computation on a powerful server, sending a trickle of data from the smartphone to the cloud—including everything the user types. However, SwiftKey’s Neural Alpha keyboard does the number-crunching on the phone, potentially allowing the system to be more respectful of users’ privacy and security by storing and processing sensitive data locally. In some ways, Microsoft’s move is surprising, as it already has its own software keyboard, Word Flow, and last month announced that it would release versions of Word Flow for Android and iOS, where SwiftKey is already available. Shum said Microsoft had no plans to shut down SwiftKey’s iOS or Android apps, and promised to continue their development. In addition, he said, “[We will] explore scenarios for the integration of the core technology across the breadth of our product and services portfolio,” a move that could perhaps spell the end of Word Flow on Windows platforms. Shum promised further information about integration of SwiftKey and Word Flow in the coming months. Microsoft isn’t just after the software: It will also take on SwiftKey’s staff, who work at the U.K. company’s headquarters in central London and its offices in San Francisco and Seoul.